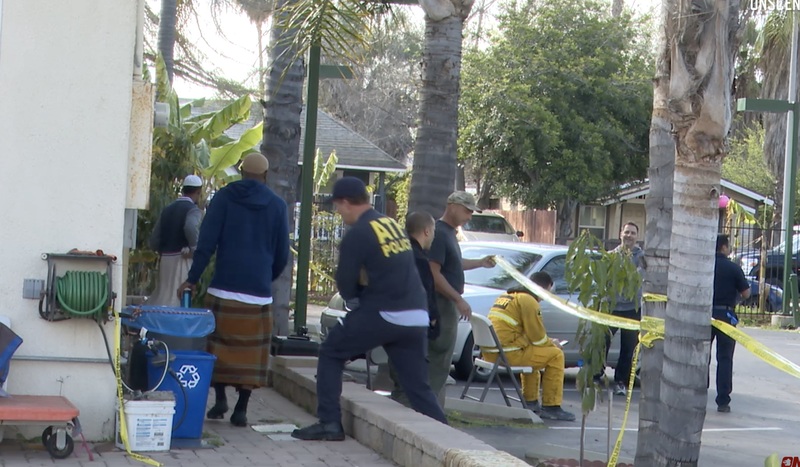 Police believe an early morning fire Sunday at an Escondido mosque may have been caused by arson and are investigating it as a hate crime. The fire was reported around 3 a.m. at the Islamic Center of Escondido, according to Escondido Police Lt. Scott Walters. The mosque is on West Sixth Avenue near South Escondido Boulevard. Seven people were inside the building when they noticed a fire had been set to the outside of the mosque, Police Lt. Chris Lick said. They were able to get the blaze out with a fire extinguisher and called 911. None of the seven saw who set the fire. No one was injured, and the fire only caused minor exterior damage. Graffiti was left on the building making reference to the terrorist attacks that killed 50 people at two mosques in Christchurch, New Zealand, earlier this month, Lick said. Escondido police and fire investigators, the San Diego County Sheriff’s Bomb/Arson Unit and agents with the FBI and the Bureau of Alcohol, Tobacco, Firearms and Explosives are now investigating the incident as arson and a hate crime. The San Diego office of the Council on American-Islamic Relations condemned the attack and called for stepped-up security and police protection at Islamic institutions across California. Members of the public were encouraged to call Escondido police to report suspicious activity in the area of the mosque. Updated at 7:45 p.m. March 24, 2019.